This is the truck that my GF uses as the "ranch" truck. It got driven with out the radiator cap. I'll let you guess as to what that did. Stripped the head and dropped it off at the machine shop. I knew during dis-assembly that it was never going to go back together as it was. An incredible mess of 24 year old bad ideas. So I scraped the tangle of vac hoses, check/thermo/electro/mechanical valves, air pump and exhaust port injectors (which was a bit of a head scratcher on how to plug the threaded hole in the head), EGR system, pluged ports in the IM, capped the half dozen or so unneeded vac ports. 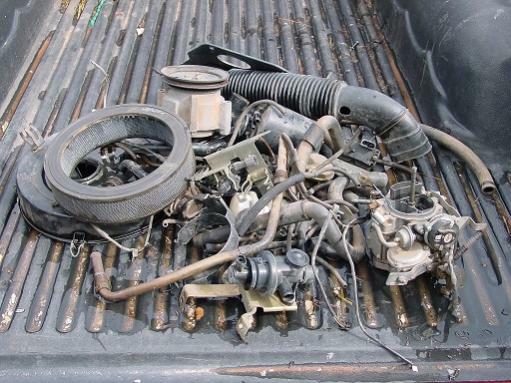 Ordered a Weber 32/36 carb and adapter kit. Broke the terminal off the stock coil so pulled out a MSD Blaster 2 coil that has been in my spare parts for years and wired that up. So now all that needs to be done is connect the fuel lines (waiting on a FPR to arrive). Intersting blog but unless I missed it you never mention what vehicle it came out of. Maybe that's half your problem, you gotta know Y/M/M. Since I know what the truck is, I assumed that everyone else did as well. I'm claiming the senior exemption on this one. It's a '91 Isuzu P/U with the 2.3L. Ran stinky rich before the melt down. Very basic little truck and very gut less. 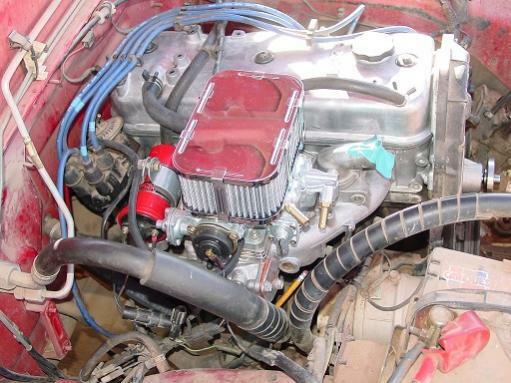 On the Isuzu forums it is said the the Weber conversion wakes this motor up a little. I'm hoping for a clean burn and reliability.